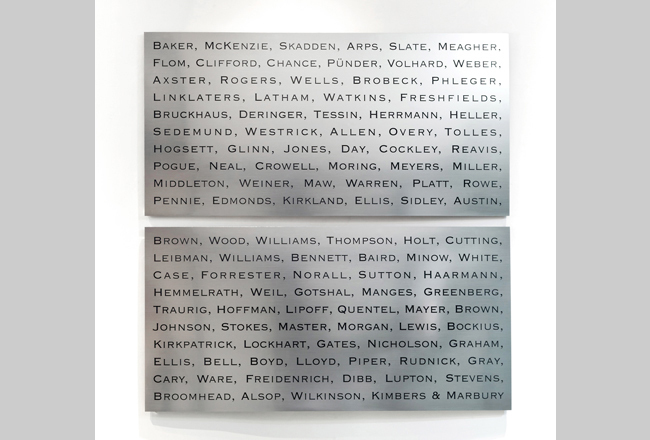 Associated is a series of artworks that examine the nebulous legal principle of the rule of law and its expression in visual culture, language, and social structures. 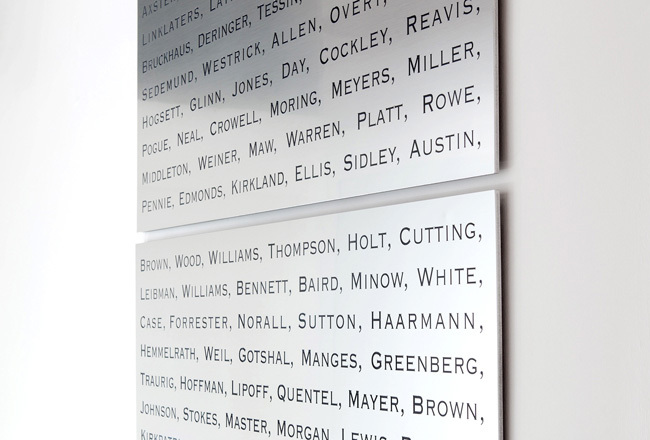 Associated (Partners) is an installation of laser etched panels that present an endless list of surnames that have been compiled from the names of the world's largest corporate law firms and the smaller private practices that were acquired to form these enormous global entities. 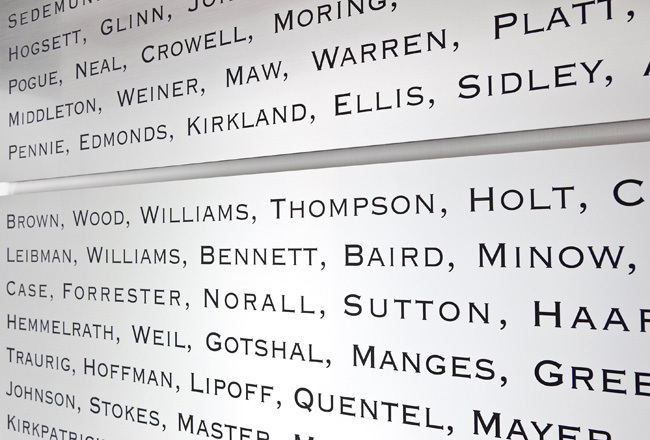 The convention of naming law practices using a list of partner surnames is extended to an absurd degree, producing a register that reveals the deep cultural uniformity of a field that is responsible for legitimizing and exploiting legal regimes that impact every aspect of contemporary society. The extensive list of members also reads as an impenetrable network of establishment and hegemony—a family tree of bourgeois, corporate, and rational-legal authority.